Antrim made it two wins from two Christy Ring Cup games thanks to a 2-14 to 1-12 comeback victory over Roscommon in Dunloy on Saturday. The Saffrons trailed 1-11 to 0-10 after 47 minutes before goals from Conor Carson and Nigel Elliott helped them to a five-point win. Down finished strongly to claim a 1-18 to 1-15 victory over Derry in Owenbeg. The sides were level in injury-time but three unanswered scores handed Down a place in the next round. Derry were strong early on, with Oisin McCloskey's goal on 10 minutes handing them a 1-3 to 0-3 advantage. Down levelled twice, but Derry held a slender 1-7 to 0-9 interval lead. A Brook Byers goal put Down 1-9 to 1-8 ahead after the restart but Shane Farren's point saw the Oak Leafers lead 1-12 to 1-11 entering the final quarter. However, Down hit form late on with six of the final eight point to defeat their Ulster rivals. 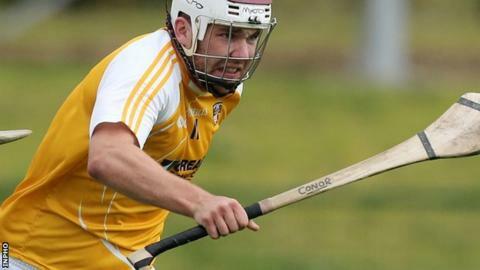 Antrim were forced to dig deep to overcome Roscommon, who led 0-8 to 0-7 at half-time. A Jamie Lawlor goal early in the second half, and good scores from Micheal Kelly and Jerry Fallon, saw the visitors build up a three-point lead. Carson's goal after 49 minutes tied the game at 1-11 apiece, with Roscommon held to just one further point as the hosts kicked on for victory. Elliott netted Antrim's second goal seven minutes from full-time.